Pick n Pay Financial Services offer customers a range of financial services, from social SASSA grant payouts to cash-at-till withdrawal, RSA Retail Bonds and even investments , Loans, Mobile Money and eduloans. Get your social grants more securely. If you receive a social grant from the government, your SASSA card will be loaded with the monies on the 1st of every month. Fingerprint scanners at selected stores now give you more secure access to your money. Plus you can use your SASSA card to withdraw cash at the till. RSA Retail Bond puts you in control of your own investment decisions. Is it the smart way to save (for that holiday you’ve always wanted). It’s accessible, affordable, secure and risk-free. Pay at any Pick n Pay tillPlease note, you will have to be a registered investor before you can buy bonds at PnP and the minimum investment amount is R1 000. Mobile Money The smart way to make your money work for you. Mobile Money is a safe and convenient way to manage your money and pay for purchases. You can send money to friends, make deposits and withdrawals, and pay for things simply using your phone. Simply purchase a Mobile Money VISA debit card, link it to your Mobile Money account and take this inexpensive banking solution anywhere. Plus, when you RICA your Pick n Pay, Boxer MTN SIM card, register for Mobile Money with it and get free Mobile Money transactions. And if you RICA your SIM card in store, you will get 10% extra airtime every time your recharge at a Pick n Pay or Boxer store. 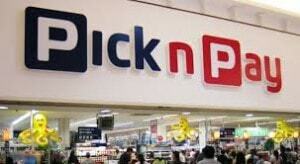 For more info visit www.picknpay.co.za/mobilemoney . Nedbank mini branches can be found in selected Pick n Pay stores across the country, providing access to banking services with a wide range of Nedbank products.